LOVE this product!! I have the hardest water in the world! Leaves spots like crazy!! Nothing will remove BUT Brite & Clean!! Makes my windows sparkle again from where the sprinklers leave water spots!! Kinda expensive but believe me well worth it and it goes a long way!! I am a walking commercial for your product. This is a great product! I have an older motorhome (86) that has years of hard water marks on the glass. Nothing I have tried has even taken off 10% after working like a dog, rubbing etc. This stuff works great! My coach looks like it has new windows, as well as my car. I would suggest only one thing: consider making your product in a paste form. I clean houses professionally and have tried to find something that works and this does!! Thank you so much! Love the product!!! Worked perfectly! I am following up to tell you that your product is everything you claim it to be. Simple Cleaning Solution is the product I have been looking for to clean all my shower surfaces, especially the glass. It makes the glass look like brand new. I will talk it up amongst my friends, but so I can tell them where they can buy this miracle cleanser, were you able to sell to the Ace Hardware in Rockwall, Texas? If not, where is the closest location that you are certain carries SCS? Once again, I am a big fan and I will beat the drum for your product! I used glass cleaner (sun room) - I like it very much. Early will soon use it on all the windows. He thinks it's good stuff ! I think I'll write a bunch of people and BRAG IT UP so hopefully U/Tim will get more orders. Worked great on the chrome. If I really like a product, especially from a smaller company, I always try to write and tell them so, and I have to tell you – I’m absolutely amazed by Simple Cleaning Solution. I have been dealing with hard water stains for the past 6 years; we have a well and we also have clear glass vessel sinks and waterfall faucets in our master bath. The sinks aren’t much of a problem, but the faucets are TERRIBLE. The water doesn’t always run out, and the standing water has made the white mineral stains a nightmare. I have tried EVERYTHING – CLR, Lime Away, vinegar, foot pumice – which actually appears to have clouded one of my faucets. I was looking at something that led to a link on your site, and I thought, why not? It’s not that expensive, and if it works I’d be thrilled, if not, I’ll get my money back. I didn’t use it for a few days, not really expecting too much anyway. When I did use it, I was stunned. 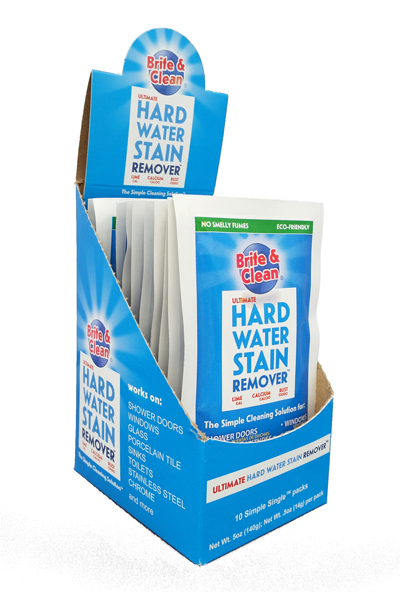 This is the best product in the world for hard water stains – my stains are GONE and they’ve been there a good long while – I’d say two years, easily. It took almost no effort on my part and it almost seems as if the product is helping the water to run off easier now that it’s cleaned. You have a customer for life and I will tell anyone I know about this product. This is absolute genius! Oh my gosh it works great!!!! I will be ordering asap. My local True Value hardware store stocks it, and I went in because of terrible water spots on the windows of my motorhome. Voila! 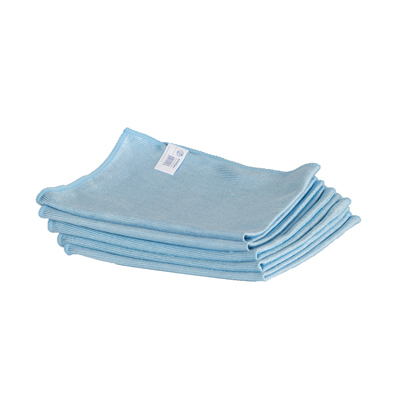 A little of your product on a damp rag and the windows literally look "sterile" clean! We have this large picture window that has been covered with stubborn hard water stains for these past 20 plus years. Through trial and error we have totally tried everything from using vinegar by itself, water and vinegar, vinegar with baking soda, peroxide with vinegar, lemon juice, tooth paste, canola oil to loosen the stain, RCL, CLR, Lime Away and Phosphoric Acid. None of these solutions worked. One day our son was on the internet and saw your post on Utube "Simple Cleaning Solution" and the next day he asked us to order your product. "What have you got to lose, it wouldn't hurt to try it as we've tried everything else", he said So we received your product Simple Cleaning Solution and used it and it really works. Thank you a million times over. It only too three applications to remove the 20 plus years of hard water stains. We definitely will recommend your product to others. The product you represent is wonderful. We just purchased two bottles of your Simple Clean Solution for our Camp. We have 3 months of counselors staying in the cabins and our shower doors are glass. Being the young people that they are they don’t wipe down the glass doors when they’re done. Your product worked magic!! The water stains came off without a pain staking struggle and our housekeepers were very, very pleased. I just wanted to send you a note and let you know we are extremely happy costumers. Thank you!! 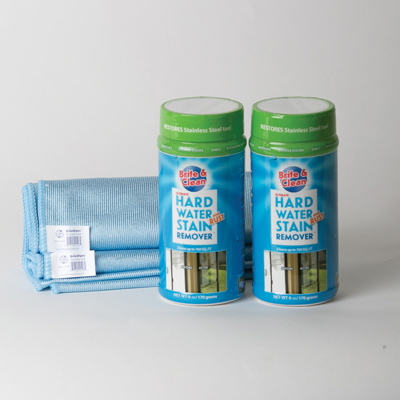 We really love your product, it's the best we've ever used to remove hard water stains. Keep up the great work. Hello my name is Gerald, I have been in the window cleaning business for a few years. 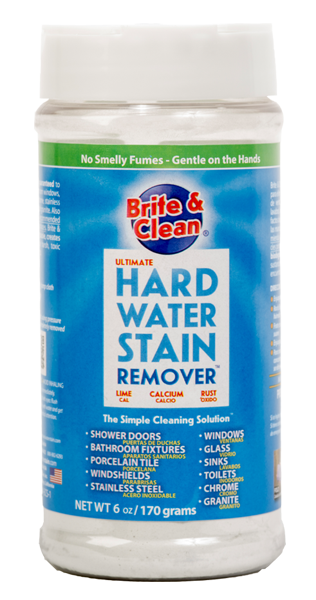 And about two years ago I found the most awesome hard water stain remover.SIMPLE CLEANING SOLUTION! I ordered one bottle, used it on my own house and was sold. I started including hard water stain removal as a specialized service to my customers and my client base increased and is still increasing! 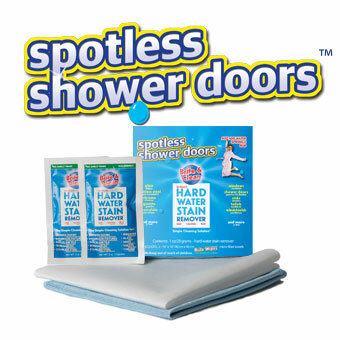 When I started my business I did not want to do calcium - hard water stain removal, but this product changed my mind. My clients are amazed at the results, and that I am able to save them so much, not only in dollars but in time, since they don't have to get bids from different contractors to replace their windows. A few days ago I finished cleaning some windows for a client, Her response? WOW! I ask her what she said and she responded, Gerald you have a WOW factor! So I challenge you buy one bottle, and I am sure you will be sold as well. Great product. My husband sprayed the west facing wall of our house with well water last summer to help cool it down. We have a stucco house and the water sheeted down over the windows bringing with it well water minerals and what ever leached out of the stucco. Nothing would touch it, CLR, vinegar, Windex and Limeaway did nothing. You are right, a little elbow grease and the product removed the film and water spots off the windows. They sparkle, thank you for restoring my windows to new. They are only 2 years old and we were heart broken that we ruined them. My wife and I just installed all new windows in our home and a new stainless steel sink in the kitchen. The water here in TX. is very hard and always staining my new front windows from the lawn sprinklers. In the past I’ve had to wet the windows with a window cleaner and then scrap then with a razor blade to try and clean them. It took over a half hour per window to do the job. And not scratch the glass with the razor blade. Then I discovered The Simple Cleaning Solution. I’ve tried every thing in the past and nothing worked. So I wasn’t expecting this product to work either. I ordered a sample and gave it a try. Wow is all I can say. I was shocked at how quick and easy it was to clean the window. The window was so stained I couldn’t even see out of it. I just used a damp cloth, poured a little cleaner on it and wiped. Stain came right off, that easily. In 5 minutes the window was clean and clear. I’ve never bothered to talk about some company’s product but this one really worked without a lot of effort. Your product is a wonderful product. It worked just as you said. I will continue to buy this product and tell everyone I know about it. Thank you so much! Did not take the stains off the kitchen garden window which I was really hoping for. Was good for the shower. So happy to have found your product! Thank you! This is an amazing product and should be marketed more widely. Your product worked very well. I have tried several different one with no luck getting the water stain off the windows. Thank you! I'm not strong enough with enough elbow grease - intend to purchase electric buffer to try.